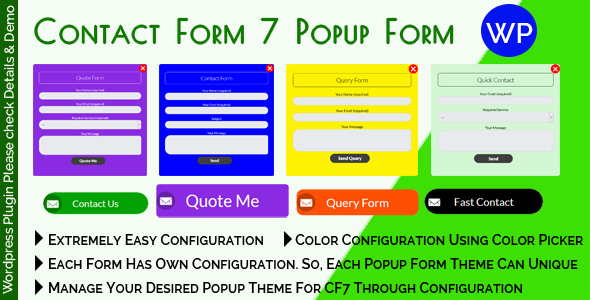 Contact Form 7 Popup Form is a WordPress Contact Form 7 Addon for showing Contact Form 7 Form within a Popup. It has designed to make the WordPress Form Page design minimized by turning the Contact Form 7 into a Popup Form. Contact Form 7 Popup Form is Extremely easy Configurable. You can configure the Popup Form Box Background Color, Font Color, Button Background Color, Button Text Color, Button Text, Button Text Font Size, Button Border Radius etc. Each Form Has Own Configuration. So, Each Popup Form Theme Can Unique. 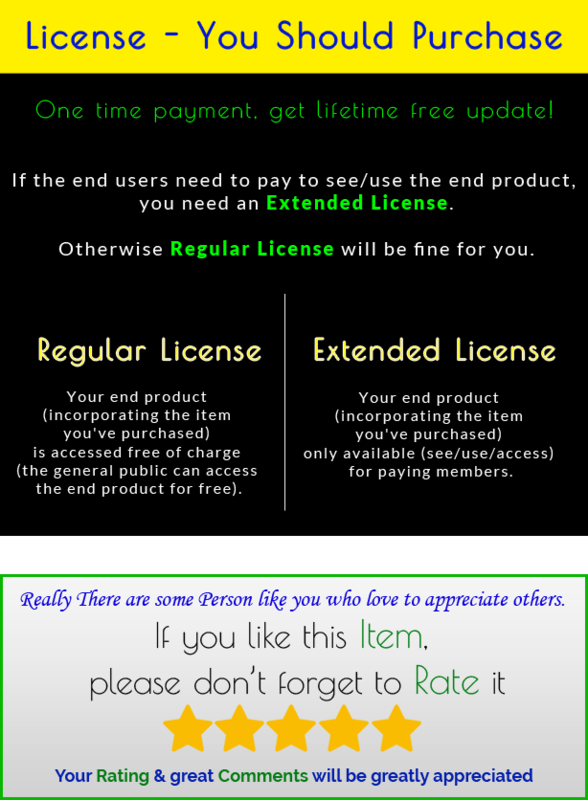 You will be able to Manage Your desired Popup Form theme through Configuration. Contact Form 7 Popup Form is a full Responsive WordPress Contact Form 7 Addon. It looks great with all types of devices. Try out the demo.